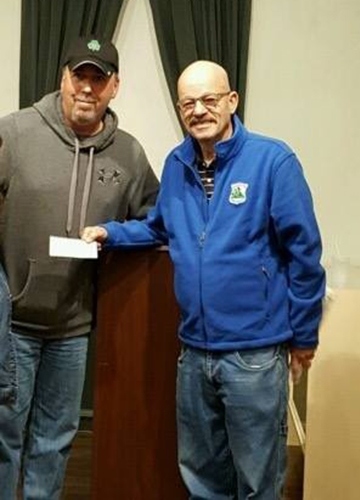 On November 2, 2016, Jim O’Loughlin of the Boston Police Department Emerald Society presented Steve DaCorta, Cops For Kids With Cancer, with an $8,000 donation check. The funds were raised during their “Half Way to St. Patrick’s Day Road Race” – an annual event. We at Cops For Kids With Cancer would like to thank the BPDES for their continuous support and generosity.